Embracing a more nuanced diplomatic approach in engaging Pakistan in counter-terrorism efforts, US Defence Secretary James Mattis has asked Islamabad to intensify its efforts in rooting out terror from its soil.Mr Mattis met Pakistani Prime Minister Shahid Khaqan Abbasi in Islamabad on December 4 and impressed upon the latter the compelling need to act against terror outfits. 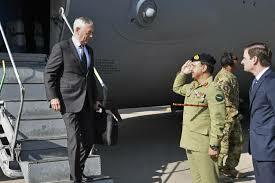 A statement by the Prime Minister’s office in Pakistan said, “He [Mattis] emphasised that in view of his long association with Pakistan, he was keenly aware of the sacrifices rendered and the lives lost in Pakistan’s fight against terrorism and extremism; and his personal respect and appreciation for the professional abilities of Pakistan’s armed forces “. Setting the tone of his maiden official visit to New Delhi, US Secretary of State Rex Tillersonhad expressed last week the US administration’s determination to “dramatically deepen ways” to build an ambitious strategic partnership with Indianot just specific to South Asia but also including the Indo-Pacific, with an eye on China’s rising assertiveness in the region. In New Delhi on a 36-hour visit, Mr. Tillerson reaffirmed his country’s support for India’s rise as a regional power and providing further assistance in advancing India’s military mordernisation by equipping it with best technologies. 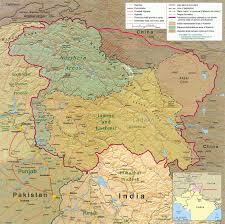 Abandon your futile quest and stop abusing international fora for Jammu and Kashmir is an integral part of India. 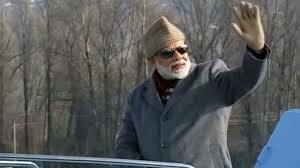 This is India’s strongly-worded message to Pakistan which continues to rake up the Kashmir issue to divert the world’s attention from its relentless pursuit of terrorism as an instrument of state policy. “Our response to Pakistan is consistent. Abandon your futile quest. 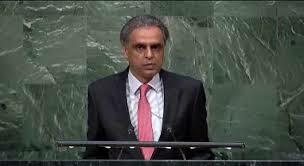 Jammu and Kashmir is an integral part of India and will remain so,” India’s Permanent Representative to UN Syed Akbaruddin said during a General Assembly debate on ‘Report of the Secretary General on the Work of the Organisation’ at the 71st session of the UNGA. Amid headline-hogging strikes by India to hit back at Pakistan for the Uri massacre, thousands of miles away Vice-President Hamid Ansari engaged in quiet and effective diplomacy to forge a united front against terror with two key West African nations, including Nigeria and Mali. In Bamako, the capital of Mali, the vice-president outlined a template of mutual empowerment with the African continent by dovetailing India’s Africa policy with the vision of African resurgence crystallized in Agenda 2063. In the first high-level visit from India to Mali, Mr Ansari pledged India’s unremitting support for the reconstruction and flowering of this nation of poets, scholars and musicians and underscored that New Delhi will work closely with Bamako to restore the glory of Timbuktu, which has been savagely assaulted and scarred by al-Qaeda in Maghreb militants. Transcending boundaries and differences – this should be the operative mantra for the world to collectively fight the scourge of terrorism. For any ambivalence or half-heartedness on this front can spawn hundreds of such tragedies in the future, with innocent victims caught in the crossfire of state politics and the mindless terror machinery of warped-up ideologies.